Help Gilligan get the gang off the island by lighting a signal fire before a passing ship slips out of sight! It will take six trips across the lagoon to light the fire. Use the arrow keys to hop forward and backward or to step side-to-side. You'll lose a life if you fall into the water or slide off the side of the screen, so be careful! A frog style game. Help this guy to turn on the fire. You need to cross the sea to the island. If you want to play Gilligan's Island Hop games online you have come to the right place! GamesLoon adds new Gilligan's Island Hop games every week. This is your game portal where you can find the biggest collection of free Gilligan's Island Hop games online. 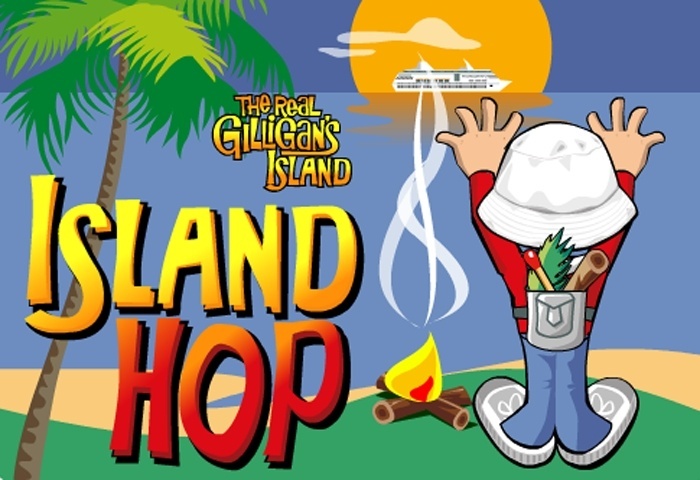 Do not forget to rate our Gilligan's Island Hop free online games while playing!